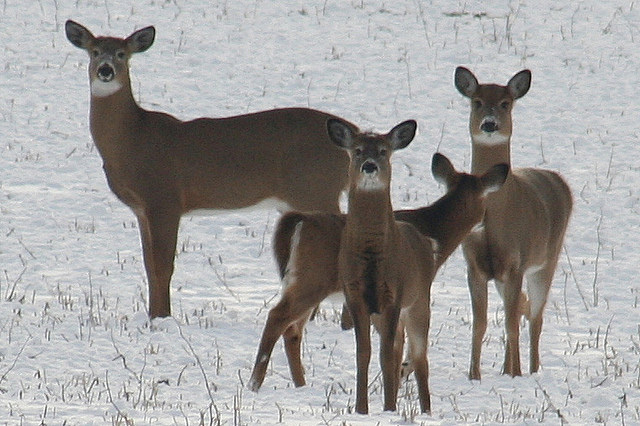 New Hampshire designated the white-tailed deer as state animal in 1983. An animal of incredible beauty and power, white-tailed deer are able to run up to 40 miles per hour, jump 9 foot fences, and swim 13 miles per hour. 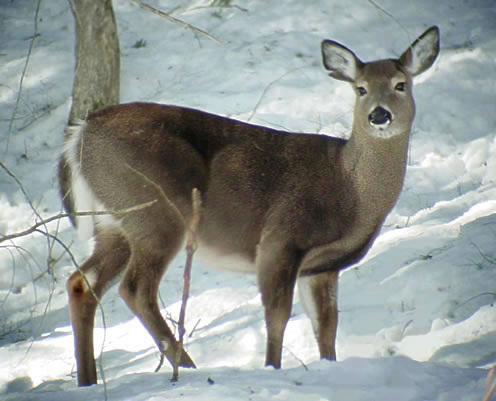 The white underside of the deer's tail waves when running and is flashed as a warning when danger is sensed. 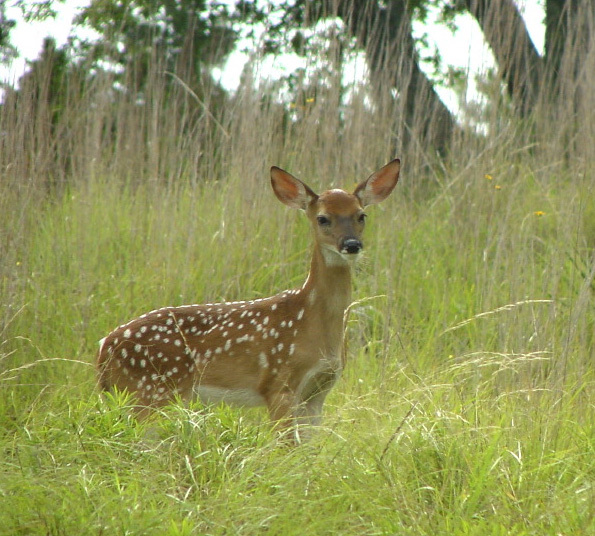 Both native Americans and settlers relied on the white-tailed deer for buckskin and food. 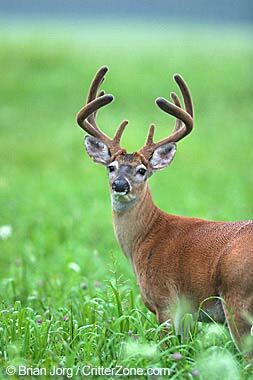 Eleven states have designated the white-tailed deer as a state symbol: Arkansas - Illinois - Michigan - Mississippi - Nebraska - New Hampshire - Ohio - Oklahoma - Pennsylvania - South Carolina - Wisconsin. White-tailed deer in snow; photo by Bev Currie (BevKnits) on Flickr (noncommercial use permitted with attribution / no derivative works). White-tailed deer buck with new spring antlers; photo © Brian Jorg / CritterZone: Animal - Wildlife - Nature Stock Photography (all rights reserved; used by permission).